I’ve been using a book called Crochet One-Skein-Wonders by Judith Durnant, I bought the kindle edition for it is much easier to carry around and cheaper too. 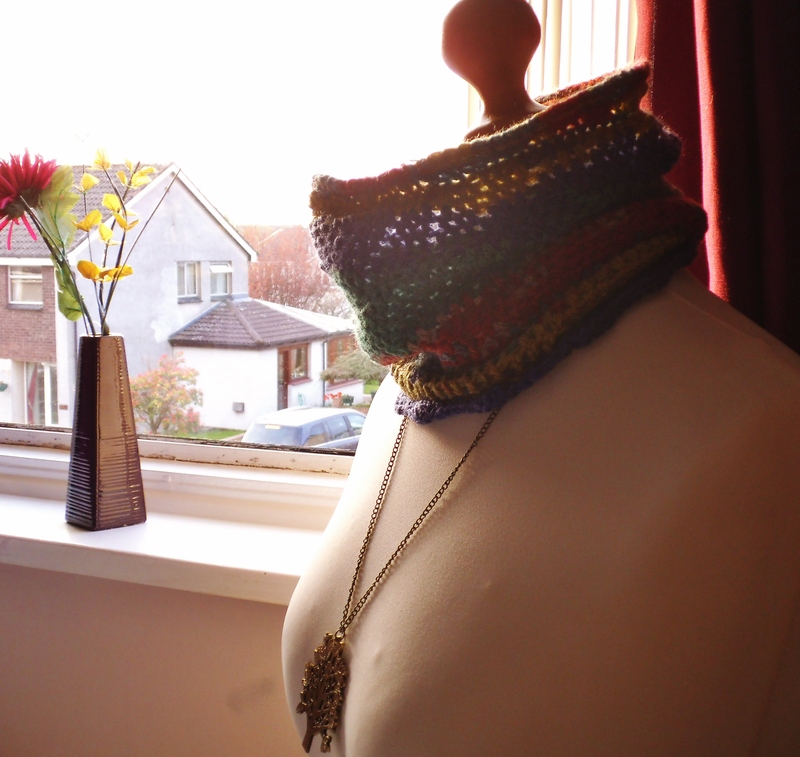 I completed the Lelya cowl pattern that was completed in rounds. 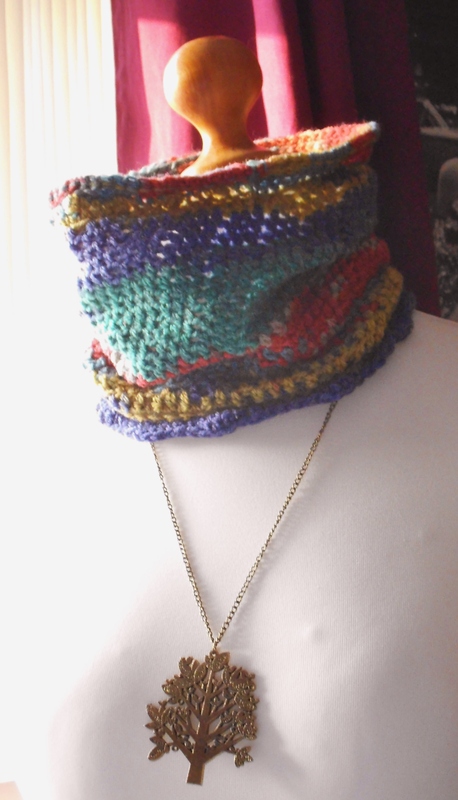 I used Sidar Montana merino wool in the red/blue/green. My boyfriend had bought me a previous shade of the same wool that had crocheted up really nicely before so I was dying to try something new with it.